(State ex. rel. v. Middlefield, 120 Ohio St. 3d. 313 (2008). When we think of a “taking” of private property by a public entity, what typically comes to mind is a physical act to condemn and demolish, such as leveling a home in the way of a new highway. However, the law also recognizes that a taking can occur in cases where there is no physical invasion, but a regulation deprives property of less than 100% of its economically viable use. These are sometimes referred to as “partial takings”. See Penn Cent. Trans. Co. v. New York City, 438 U.S. 104 (1978). The Supreme Court of the United States in Penn established that the following factors must be evaluated to determine if property is taken without physical means: 1) the economic impact of the regulation on the claimant; 2) the extent to which the regulation interfered with distinct, investment-backed expectations and 3) the character of the government action. This “factors test” was recently recognized by the Ohio Supreme Court in State ex rel. Gilmore Realty, Inc. v. Mayfield Hts., 119 Ohio St. 3d 11 (2008); State ex. rel. Shelly Materials, Inc. v. Clark Cty. Bd. Of Commrs., 115 Ohio St. 3d 337 (2007); and in the December 4, 2008 case of State ex. rel. v Middlefield, 120 Ohio St. 3d. 313 (2008). In Middlefield, the Court was faced with the question of whether or not a long delay by a municipality in issuing a zoning permit, and thereafter, an occupancy permit constituted a partial taking. 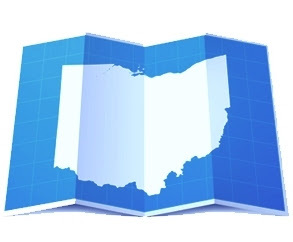 If a taking is proven, Ohio law requires that public authorities initiate appropriation proceedings, so that “just compensation” as required by the United States and Ohio Constitutions be paid to the property owner. The applicable delay in this case was a six month period for issuance of a zoning permit (where the property owner’s engineer first had to resubmit site plan drawings for twenty items the Village wanted corrected, then one hundred-fifty items, and then four items) and a nine month period between zoning permit issuance and occupancy permit issuance. The Court in Middlefield focused on the third factor of the Penn decision and analyzed: the length of the delay; whether or not any part of the delay was caused by the property owner; and whether or not bad faith on the part of the government was involved. For the first, six month delay, the Court held there was no “taking”, reasoning that the property owner had no evidence that the City was out to get him, and to the contrary, the property owner admitted his engineer made multiple mistakes. The Court held the “second delay” was not a taking, because the property owner waited four of the nine months to apply, and there was no admissible (vs hearsay) evidence proving the City ordered contractors off the job site. Finally, when it came time to prove damages, there was evidence presented that the property increased in value, and that the property would have suffered losses, even if it was built earlier, without the delays. So, what is the moral to this story? Some may look at this decision as further proof to the old adage that “you can’t fight City Hall”. There probably is some truth to that adage when applied to “partial takings cases”, as the Court seemed to imply that public bodies are charged with the health, safety and welfare of all its citizens, and it legitimately takes time to evaluate the same. However, the underlying theme in this case appears to be more of a message to property owners, that they won’t be able to blame cities for their (or their agent’s mistakes), and if they are going to try, they better have good evidence that City Hall acted in bad faith. Finally, don’t lose sight of damages. It is difficult to prove that a delay causes economic damages when the value of a property increases during the time of delay, and the property would have operated at a loss during the delay. Thanks for reviewing our blog and for your comment.